The Bluetooth function is only available for audio output, such as a Bluetooth headset or a loudspeaker., support storage of over 2,000 songs. They do still power up and work. I have red, blue and a few black. Specify or I will pick for you. Description: Made for music! 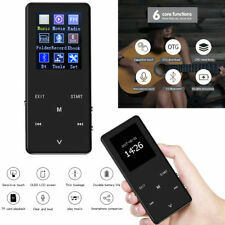 This is the newest version of Original Bluetooth MP3 player with Touch Key. Easy to operate, its new functions will surprise you! Let's take a look. Bluetooth Function: You can enjoy music by pairing with your Bluetooth headphone or your Bluetooth speaker. Of course, you can also insert the wired headset to listen music. It couldn't pair with computer and phone. Scientific Design: It features sensitive touch key and 5 touch buttons. One button corresponds to one function. It is convenient to operate. Ultra thin case and metal frame..
And, it supports many audio formats such as, MP3, WMA, AAC, APE, FLAC, WAV, etc and supports TF Card (Up to 128G). With its multiple functions, this MP3 / MP4 Player is your first choice to enjoy music, video, e-book, picture scan, FM radio, recoring and more. Magnesium alloy body, CNC cutting process, 2.5D arc front mirror, with electroforming grinding CD grain process. Included: 1 x Bluetooth Sport MP3 Music Player. Built-in dual PCM microphone to support remote recording optimization. 5, Vocal Recording Support. 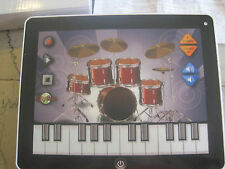 1, MP3 Touch Screen of the Music Player. Expansion card: support. Source category: Spot goods. Headphone jack: 3.5. Mode of operation: touch button type. Screen color: TFT screen. You think integrated Wi-Fi is cool?. With the Bluetooth v1.2 EDR wireless you can connect a set of Bluetooth headphones, Bluetooth speakers and even print all without wires! 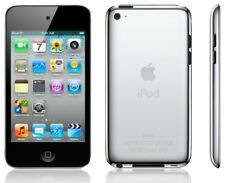 With all these features, you'll be looking for any excuse you can to touch your iPod touch! Capacity 8 GB; supports up to 64 GB (TF card not included). Support FM Radio, voice recording and E-book reading (support txt format only). Type USB MP3 Player. 1 x MP3 player. Easy to use, no more hassle by confusing operation. Emerson 4GB Music Video MP3 Player 2.8” Touch Screen Brand New Free Shipping! 【NOTE】The Bluetooth function is only available for audio output, such as a Bluetooth headset or a loudspeaker., support storage of over 2,000 songs. If you get any product problems. It only weights 2 oz. Equipped with FM radio. Allows you to easily connect your MP3 player to you phone(Only support Android phone). 1 X MP3 Player. With this design, assures comfort for one-handed operation and feel more comfortable. Sony NWE394/B 8GB Walkman MP3 Digital Music Player (Black). Like new, was used for for a few hours total. Comes with the original headphones and the manual. Trending at $39.67eBay determines this price through a machine learned model of the product's sale prices within the last 90 days. Features: Shuffle and repeat modes available. Bluetooth connectivity,stream music, including FM radio from this player to Bluetooth speaker and headphones. Voice recorder with noise canceling. Lossless sound. Newest Bluetooth 4.0 technology of mp3 player, fast and stable transmission provides you a pleasant wireless music playing experience. AMDISI MP3 Player adopts the new Bluetooth 4.0 wireless transmission technology, which provides a faster and more stable data. 【NOTE】The Bluetooth function is only available for audio output, such as a Bluetooth headset or a loudspeaker., support storage of over 2,000 songs. It only weights 2 oz. Compact and Portable Slim.Perfect for your outdoor and gym fitness.You can take it everywhere you go. NEW 8GB Flash Portable MP3 Player.Listen Watch Video Songs.Camera.Touch Screen. Up for sale is this NEW 8gb flash portable mp3 touch screen player. Audio Formats MP3. Product Functions Audio Player. Radio Tuner Type FM. Display Screen Type Color LCD. Screen Size 2.8". Video Recorder. ★HiFi Lossless Sound Quality: D ual audio ports (with Line-OUT function), providing HiFi class sound that is close to the original. Supports Audio Formats: Mp3/ WMA/ APE/ FLAC/ WAV/ AAC-LC/ ACELP. Because when the Bluetooth is in open statue, it will influence the use of these functions. Description: 1. Touch screen MP3 music player 2. Support MP3, WMA and all lossless music modules. 3, support AMV format video playback, timed shutdown 4. support FM radio and FM radio recording 5. support recording 6. support e-book reading, pictures 7. support folder switching function 8. lyrics synchronized display 9. Variable-speed sound 10. Variable-speed sound 11. You can add songs to your favorites/playlists 12. Support adding bookmarks to songs or e-book reading 13. Support for formatting and restoring factory defaults 14. 4 screen protection modes, function demonstration 15. 28 languages are optional. Support FM Radio, voice recording and E-book reading (support txt format only). Type USB MP3 Player. 1 x MP3 player. Easy to use, no more hassle by confusing operation. HiFi-class High Resolution Digital Audio Player. Support music format: MP3, WAV, WMA, APE, PLAC. Multifunctional, support E-book, sound recording, FM radio, etc. Adjustable screen brightness, eye protection. Support 22 languages switch freely. Built-in loudspeaker, loud and good sound quality, high fidelity. Factory reset, tested, and works great. I have several of these all in good condition. See photos for example.